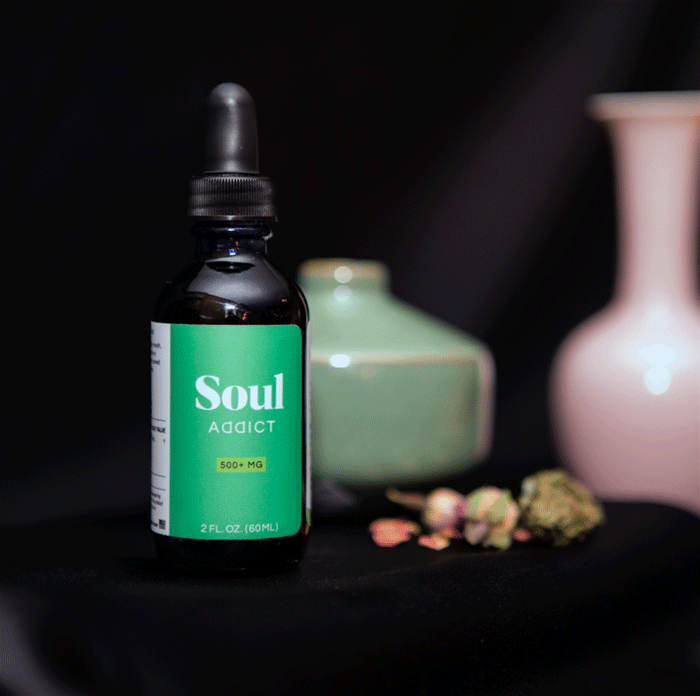 Our CBD Elixir is a hemp-derived adaptogen to help you find your plant-powered way to calm and zen. 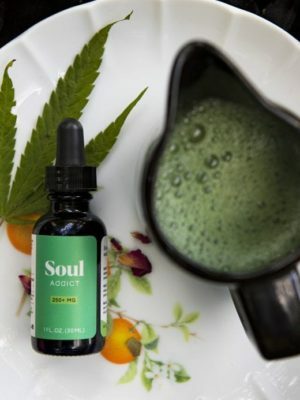 500+ mg of cannabinoids in each 60ML (2 ounce) bottle. 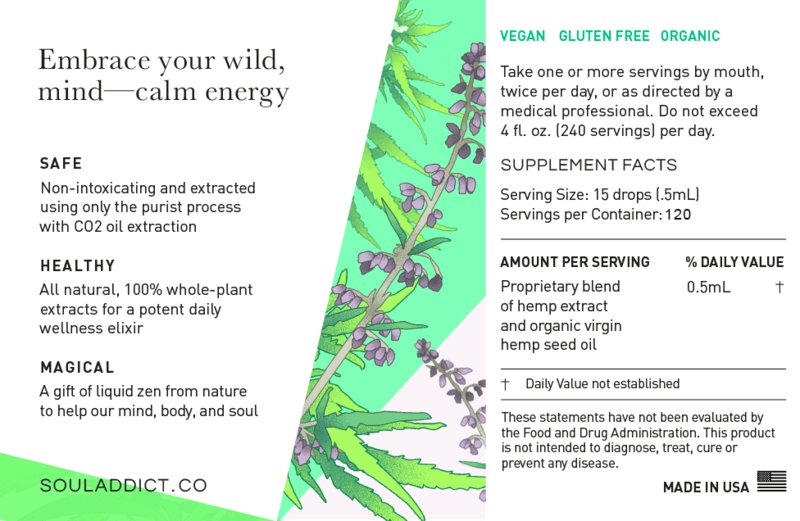 Add balance and empower your wellness journey with our plant-based blend of full-spectrum hemp extract. Each batch is third-party tested, ensuring the most potent and pure oil is left behind for your new favorite way to relax. 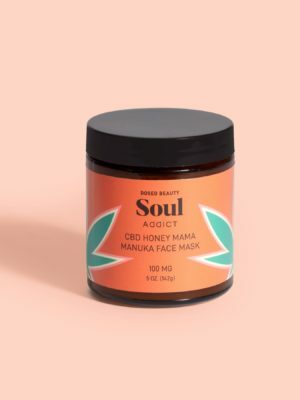 How to use: Day or night, add to your favorite teas, smoothies, tonics, raw foods, or straight-up as an elixir for your new favorite daily self-care beauty mixer. Check out our dosing guide for more info. Directions: Every, body is different. We recommend starting with 1 serving (15 drops, 4.2 mgs) and building up from there what works best for you. Our CBD Elixir is a full-spectrum & whole-plant hemp CBD oil | 4.2 mgs per serving. Pure plant-based ingredients: Cannabinoid-rich CO2 Hemp Extract emulsified in organic, virgin hemp seed oil. Free shipping on domestic orders over $75. I’ve taken a prescription for Klonopin for over 7 years from my doctor to help me relax and sleep. I haven’t been able to function without it. 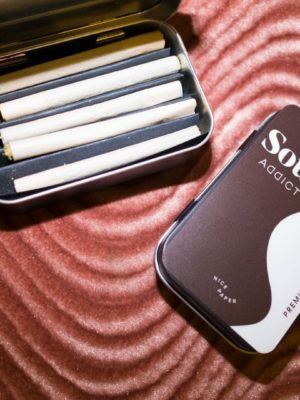 I didn’t take it for the first time in forever and took Soul Addict’s CBD, instead. I slept all night and felt amazing the next morning! I love it! Thanks to this stuff I’ve gone from daily panic attacks to zero panic attacks in the two months since I incorporated CBD into my daily routine. I feel confident in the quality of SA CBD products! My orders have also always arrived incredibly quickly and my interacts with customer service have been phenomenal. Now I just need to get my hands on the rest of the line of products! The last two years I developed crippling anxiety. It was suggest I go on anti depressants or lithium. Instead I incorporated this into my daily routine and it was changed my life. I also go to weekly therapy sessions. Overall, I feel anxiety free and resilient enough to handle bad days. I have given this oil to a friend and my husband to sample and now they both use it regularly. Also, their customer service is outstanding. One of my shipments was missing an item and they overnighted it right after I called them. Pure zen + calming // functional + high vibrational food. Add balance and empower your wellness journey with our plant-based blend of full-spectrum hemp extract. Each batch is third-party tested, ensuring the most potent and pure oil is left behind for your new favorite way to relax. Directions: Every body is different, we recommend starting with 1 serving (15 drops, 4.2 mg) and building up from there what works best for you. 4.2 mg per serving. Get wellness tips, cannabis ed, and high vibe recipes sent to your inbox. These products are not for use by or sale to persons under the age of 18. These statements have not been evaluated by the Food & Drug Administration (FDA). This product is not intended to diagnose, treat, cure or prevent any disease.